I’m immersed in writing and revising picture books these days…and one of the best ways to learn to do it right is to READ LOTS OF PICTURE BOOKS that have already been published! So I came home from the library yesterday with a HUGE stack…it reminded me of when I was a little girl and couldn’t wait to go to the library to take out as many books as I could carry. I’m sure you can visualize that tiny little child, barely able to walk because of the tall piles of books in her arms. It was hard to choose…but I did! It is one of the new variety of picture books which engages the reader by actually talking directly to him or her…a unique technique that I will have to keep in mind as I formulate my next stories. “Hey kid! Guess what? I’ve got a supersecret, highly unusual, incredible and amazong magical power. I CAN READ MINDS. It’s true. In fact, I can read YOUR mind. From Amazon: The monkey narrator in this humorous picture book guarantees that he can READ YOUR MIND. What begins as a simple request to imagine the most spectacular thing in history turns into the story of a roller-skating, bubble-blowing purple kangaroo searching for his dear friend Ernesto on the moon. So by the time you finish this book, there’s no chance you will be thinking of anything BUT the purple kangaroo. Spending time with our kids can be lots of fun – if you are looking for a great resource book that provides dozens and dozens of quick and easy crafts and other activities for young kids, please check out my Show Me How book. 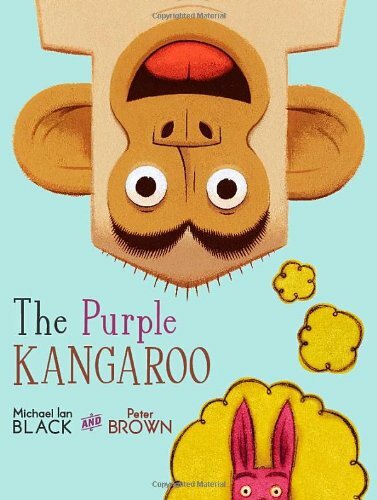 This entry was posted in Imiagination and Creativity, Perfect Picture Book Friday, The Purple Kangaroo and tagged #PPBF, crafting with children, Make a paper plate kangaroo, Michael Ian Black, Peter Brown, picture book review, The Purple Kangaroo by viviankirkfield. Bookmark the permalink. 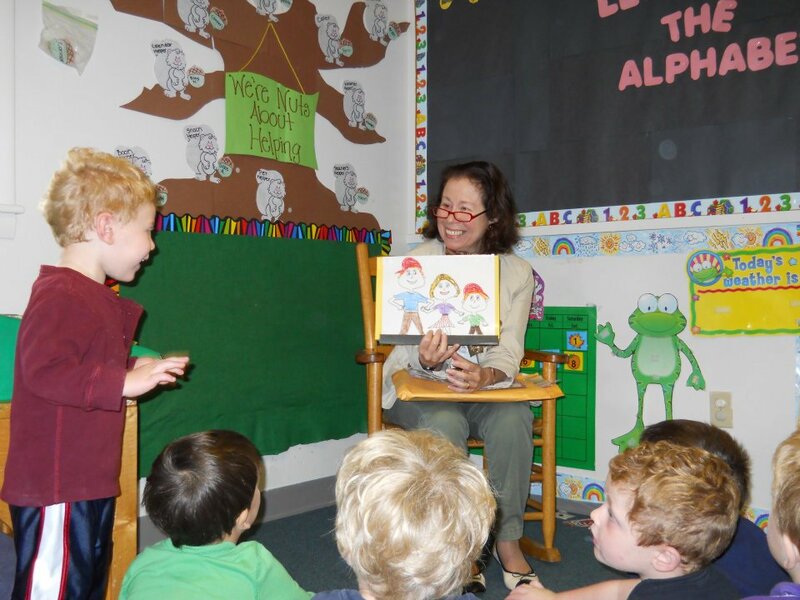 Second person picture books can be SO fun – and this one looks like a winner. Fun stuff!! Thanks for sharing! Hurray for Black, Brown and their Purple kangaroo! I agree this is a silly, fun book. You sold me. Sounds very funny! Looks like an excellent fun time read aloud!! I haven’t read this one. I’ll see if the library can connect me with this book before next week! Thanks. Have a great weekend. Ooh…this looks fun! Have to check this out! a monkey who can read minds and a purple kangaroo? OK, I’m definitely going to have to read this one. Especially given the whole interaction with narrator thing. OK, you’ve hooked me. Back to the library! That sounds loads of fun, Vivian. A good reminder to keep reading too. I haven’t read enough lately.